On Amazon Prime Day, having an Amazon Prime membership will be essential if you want to enjoy those exclusive deals. But what about afterwards, when the deals have all gone? 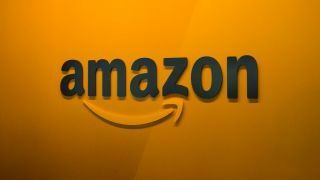 Well Amazon Prime members will frequently see items with Prime member-exclusive prices on various items at Amazon all year round and you'll get access to Lightning Deals 30 minutes before everyone else too. And on the best deals, that could well be the difference between buying an item, and it being sold out by the time you're given a shot. We're not even exaggerating, on Black Friday a Nintendo Switch deal lasted less than 90 seconds! But it's not all about buying. Amazon Prime has a lot of excellent benefits that are often overlooked amongst all the furore around the Amazon Prime Day deals. Let us show you the best ones that might convince you to keep your Prime membership going after Prime Day. Amazon Prime's Instant video streaming service has come a long way since its early days and is well worth having as well as Netflix as both offer enough unique content nowadays to justify owning both. And Amazon has some fantastic shows to get stuck into (I'm currently binging though both Into the Badlands and The Americans) and it frequently surprises me with just how new some of its movies are. Amazon Prime Instant Video can be shared too. You can actually stream content on three different devices if you're willing to share your Amazon account login with any housemates or family members (you can always log their device in yourself without giving them your password directly). The other people streaming don't even have to live at the same address, making it very easy for family members to enjoy the video service for free. If you're sharing with flatmates, you could split the cost of membership considering you can both enjoy the fast post and streaming benefits so easily. We can't stress enough this often-overlooked factoid of Amazon Prime membership. It's not just you who can benefit from free next day delivery (two days in the US and Australia) as a part of your membership to Amazon Prime, another adult in your household can too. And no, it won't cost either of you anything extra. They don't have to share your surname, so it works for flatmates, girlfriends, boyfriends, siblings anyone that lives at the same address. Brilliantly though, we've found that this secondary person can also get items delivered to another address if needed - like their place of work for example. How does on-demand access to two million songs sound? Well they're all yours as a part of your Amazon Prime membership. You can even request music from your Amazon Echo speakers too. You can download these tracks to listen to offline on your phone or MP3 player, which is great for creating jogging playlists or tunes for the beach on your holidays. Sadly, you can't get this Amazon service in Australia yet. If you want to join Amazon's even bigger Music Unlimited service (40 million songs), then you'll find your Amazon Prime membership entitles you to an exclusive discount on the monthly price at just $7.99/£7.99 instead of $9.99/£9.99 in the US and UK. Buried down the list of benefits is a large selection of ebooks to download to your Kindle or the Kindle app on your phone free of charge. Most genres are covered with over a thousand books, magazines, comics and more available to Amazon Prime members. Your mileage will vary depending on what you like to read and you won't be finding brand new titles being added to this perk anytime soon, but it's well worth looking into if you're an Amazon Prime member already or are considering the full benefit while on an Amazon Prime free trial. One of the newer perks you can enjoy with Amazon Prime is free Twitch Prime membership. This is a great bonus if you enjoy watching live streams of games on the massively popular service. You'll get free in-game DLC on select titles, ad-free viewing, a free channel subscription every 30 days and exclusive member discounts on select boxed PS4, Switch and Xbox One game pre-orders on Amazon (20% off some big titles for US gamers). You also get free games with Twitch Prime each month. The free games and DLC are usually for PC, just so you know. There's not long to go for Amazon Prime Day 2018 now. If you don't want to miss out on the best bargains, be sure to bookmark our dedicated Amazon Prime Day 2018 deals pages for our UK and US readers. There is still no official word on Prime Day 2018 in Australia, but be sure to check back for all the news and deals in July. If you're ready for an Amazon Prime free trial you can sign up via these links for the USA, UK, Canada, India and Australia.